A massive global divide in access to palliative care and pain relief, and an enormous burden of avoidable human suffering, were uncovered in the recently published Report of the Lancet Commission on Global Access to Palliative Care and Pain Relief. Over 61 million people worldwide, including more than 5 million children, experience serious health-related suffering (SHS) each year. This amounts to over 6 billion suffering days lived with symptoms that are amenable to palliative care, found the report, titled Alleviating the access abyss in palliative care and pain relief—an imperative of universal health coverage. Only a small proportion of people receive care to mitigate their suffering. The report found that the vast majority live in low- and middle-income countries (LMICs) with little or no access to the effective and affordable palliative care and pain relief interventions that they desperately need. Outlines national and global health-systems strategies to expand access to palliative care as an integral component of universal health coverage. A large part of the current SHS burden is associated with non-communicable, chronic diseases such as cancer, dementia, cerebrovascular disease and lung disease. This this will only increase as populations age and LMICs undergo epidemiological transition, the report found. At the same time, an important part of the SHS burden is associated with mortality and morbidity that could be reduced through effective prevention and treatment strategies. The report highlights the importance of both guaranteeing universal access to palliative care and pain relief in line with the Sustainable Development Goals, while also collaborating to reduce the current SHS burden. The Commission strongly recommends forging linkages to leverage the many points of synergy between the palliative care and NCD academic, advocacy and policy communities to accelerate progress for both movements. The report’s authors and the many global, regional and national advocacy leaders who participated in the work are eager to engage with the NCD community, including with the NCD Alliance. 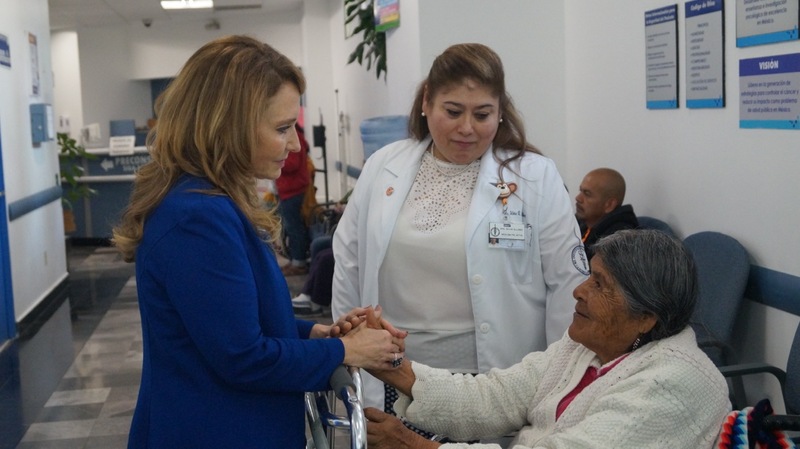 The report is the product of three years of work directed from the University of Miami and Harvard University, involving 35 palliative care and global health leaders who served as Commissioners and 61 authors representing 25 countries. It is now available online, along with the accompanying editorial, “A milestone for palliative care and pain relief” by Lancet editor-in-chief Richard Horton. Also online is a podcast with the Chair of the Lancet Commission, Dr. Felicia Knaul, and Dr. Julio Frenk, President of the University of Miami and former Minister of Health of Mexico, who served as a Commissioner. A recent NCD Alliance webinar featured Dr. Knaul providing an overview of the report’s key findings and recommendations. A comprehensive toolkit is being developed and is available along with links to media coverage at www.miami.edu/lancet.